Just like deciding what to wear to an interview, picking out what to wear to a networking event can be a mental obstacle course with so many different messages being thrown your way. Do you go business casual? Business formal? What about adding a few trends to the mix? 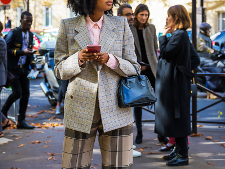 There's no one protocol when it comes to dressing for these types of professional events, and it will certainly depend on which industry you work in or are trying to break into. To ease a bit of this stress, we've outlined five different types of networking events you might encounter, ranging from the most formal to most casual engagements. While we do recommend breaking out your best suit for a career fair, it might be overkill to do so for lunch with a mutual connection. Read through to know what to wear to a networking event so you can hit the right note for each different type of event. Chances are if you're at a job or career fair, you're in the market for a new position. While handing out your résumé to potential employers, you want to make the best impression possible so that they keep your name at the top of their pile. You might even have the chance to do an on-the-spot interview, meaning you should show up in your office best. 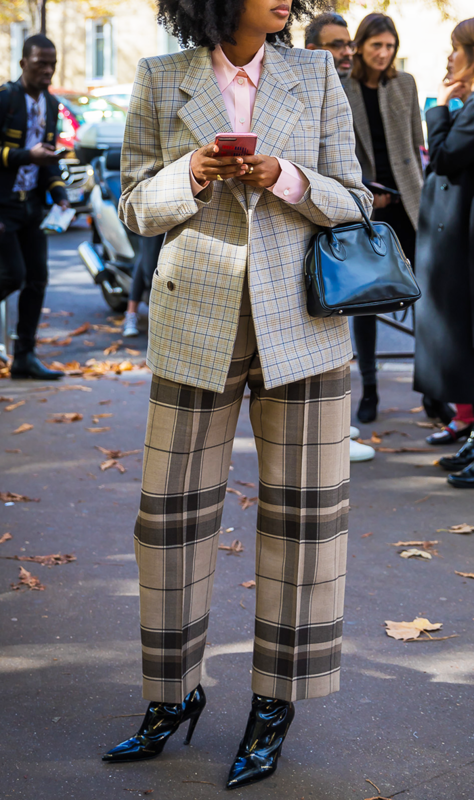 Suiting separates are always a fail-safe option for these types of professional events. Available in sizes 6.5 to 10.5. If you're attending a conference or any seminar-type events, networking won't be the center of attention, but you'll have the chance to meet professional peers throughout the day and during the conference breaks. You don't have to break out your best suit, but business-casual separates are highly encouraged. Available in sizes 00 to 28. Available in sizes 4 to 16. Heading off to an alumni event for your college or university? This is a great chance to meet others who share your alma mater in a casual setting. We recommend a more casual look that's still put-together. Jeans are okay for an event like this, but elevate them with a blazer and turtleneck, and show off your winning personality through a fun piece of jewelry. Meeting co-workers for drinks? Attending an organized networking night at a wine bar? This is a tricky event to dress for, as it's not totally office-y, but it's also not quite the social hour you're used to with friends. When in doubt, always err on the conservative side. Why not try out a fun pattern or bold color in lieu of a high hemline or overly trendy cut? Available in sizes 34 to 46. Since you're meeting someone with whom you already have a mutual connection, a bit of the pressure is off. Meeting for a coffee or lunch date elicits something you'll be totally comfortable in. Try palazzos or wide-leg pants and a cute (i.e., not frumpy) sweater. Dress it up with pumps or flats depending on the location. Next up: Nine items powerful women never wear to work. This post has since been updated.